In late May, four sopranos from UA’s Fred Fox School of Music flew to picturesque Orvieto, Italy, the first music students to participate in UA’s long-standing study-abroad program. 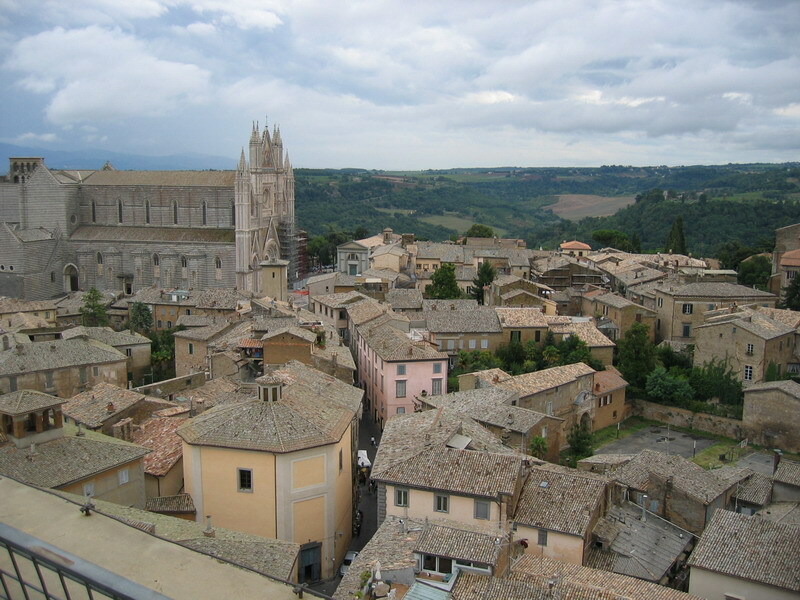 AZ in Orvieto offers a wide range of courses for UA credit in summer, fall, and spring sessions, but this was the first time a course specific to vocal students was offered. Dr. Andrew Stuckey guided them in Aria and Song Intensive Study over a five-week period. He worked with the students in masterclass fashion, as well as in private lessons, helping them through repertoire which the students then performed in two public concerts. His teaching went well beyond the confines of the prescribed six hours a day, extending into role preparation for the upcoming year, something for which the heavy course load of a student musician often leaves no time. 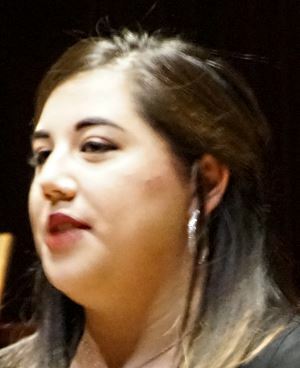 Senior Emily Garcia, undergraduate winner of the 2018 Quest for the Best, began coaching for her lead role in the new Mexican opera Marea Roja, and performed “Si, mi chiamano Mimì” and Gershwin’s “Summertime” in concerts. Coloratura soprano and Master’s candidate Kristen Lucas, also a 2018 Quest participant, worked on and performed arias including the challenging and impressive Bell Song from Delibes’ Lakme, and the famous “Caro nome” from Rigoletto. Undergraduate soprano Bridget Marlowe, who was featured in student productions during the past academic year and also performed at the 2018 Quest, sang Mozart arias and charmed the local concert audience with “Think of Me” from Phantom of the Opera. 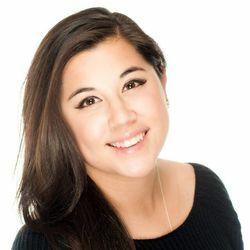 Lauren Ludovico, a music minor with a background in musical theater, worked on operatic music for the first time, singing “Nel cor più non mi sento,” a well-known aria by Paisiello, and also the moving “I dreamed a dream” from Les Miserables. Dr. Stuckey also taught an opera appreciation course that was attended by five non-music majors and two of the singers. This course offered a mixture of history, journal articles, and guided listening to scenes from some of opera’s greatest hits. The first concert filled up the sizable Locanda del Lupo (a “locanda” is an antique hotel-eatery), leaving concert-goers and passers-by crowded around the large entrance for more than an hour. Word of the concert traveled, and compliments on the students’ performance poured in from the community. 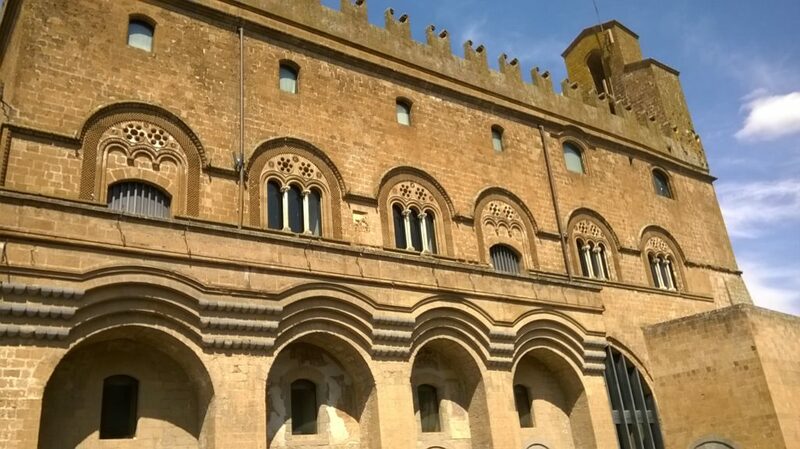 The second concert was held in the 14th-century Palazzo del Popolo (photo left), and drew a local crowd, in addition to many members of the AZ in Orvieto program. A review was published in the local newspaper, and city officials promised to open the impressive building, not normally accessible to the public, to opera students in years to come. OGSA is proud to have helped the three music majors to experience this unique program through grants, scholarships, and/or prize money. See and Hear the Arias from 2018’s Quest for the Best! Congratulations to all the singers who helped make this year’s Quest for the Best an outstanding success. Thanks to the generosity of donors and attendees we awarded $10,600 in prizes, with all singers receiving prize money. See who won the top awards, and view (or download) all the graduate and undergraduate arias. Left to right: Kristen Lucas, Brian McNiff, Jamey Wright, Mark Hockenberry, Chunghee Lee, Kaitlin Bertenshaw, Shainy Manuel, Octavio Moreno. Left to right: Emma Petersen, Annalisse Sauceda Garcia, Stephanie Swift, Powel Brumm, Sara Lashbrook, Frannie Barrows, Athena Beebe, Bridget Marlowe, Brianna Barnhart, Emily Garcia. This year’s free member party will feature the first prize winners of last month’s Quest for the Best. Baritone Octavio Moreno (graduate division) and soprano Emily Garcia (undergraduate) will be accompanied by pianist Kyungsun Choi. Refreshments will be served, courtesy of our Board and Hospitality Committee. 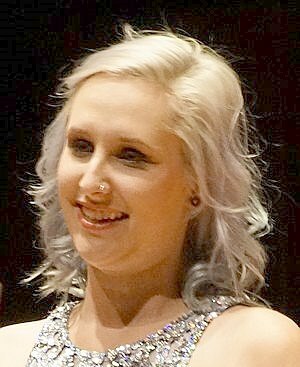 Soprano Emily Garcia is a 21- year-old junior at the University of Arizona studying vocal performance with Prof. Andrew Stuckey. She hopes to one day make a career singing on stages throughout the world. Emily placed as the second alternate in the 2018 President’s Competition which allowed her the honor of a solo performance with the Arizona Symphony in the Presidents Concert this past February. Last year she won first place at NATS, and this year she won both the Amelia Reiman Competition and Quest for the Best. She has also placed first in the Schmidt Youth Vocal Competition, placed in the top 3 of at the Classical Singer Vocal Competition and placed as a finalist in the Hal Leonard Vocal Competition. 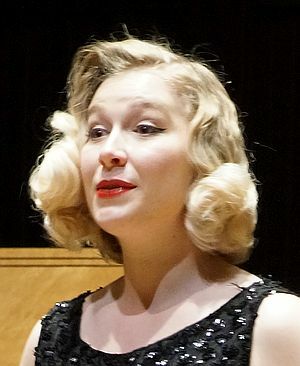 Emily has also appeared in several operas with the U of A Opera including, Dialogues of the Carmelites, L’enfant et les sortileges, and The Elixir of Love. She has also performed many other times throughout the Tucson community with groups such as Sons of Orpheus as their soprano soloist. Baritone Octavio Moreno participated in the Artist Program at the Academy of Vocal Arts (AVA) in Philadelphia. He is currently working on his doctorate of music at the University of Arizona. His repertoire includes Figaro in The Barber of Seville, Zurga in The Pearl Fishers, Don Alfonso in Cosi fan tutte, Lopez Ibanez in Arizona Lady, Laurentino in Cruzar la cara de la luna, Germont in La Traviata, Malatesta in Don Pasquale, Enrico in Lucia di Lammermoor, the title role in Rigoletto, Belcore in The Elixir of Love, and more. He has performed with Chicago Lyric Opera, Houston Grand Opera, Théâtre du Châtelet (Paris), Palacio de Bellas Artes (Mexico City), and Arizona Opera, among others. Future engagements include Laurentino in Cruzar la cara de la luna with both Houston Grand Opera and Ecuador Opera. 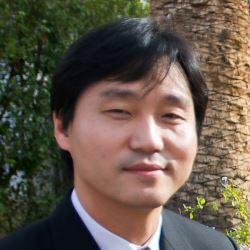 Pianist Kyungsun Choi, a native of Seoul, South Korea, graduated from Yonsei University in Seoul, where he earned a Bachelor’s degree in Piano Performance. He attended the University of Northern Iowa on a full tuition scholarship, receiving a Masters of Music degree under Professor Sean Botkin and serving as a graduate teaching assistant. He received a doctoral degree (D.M.A) in Piano Performance at the University of Arizona, studying under Dr. Paula Fan and again serving as a graduate teaching assistant. Dr. Choi has enjoyed a varied career as a soloist, chamber musician, accompanist and teacher, and has given many solo and chamber recitals locally and internationally. He has appeared twice as a soloist with Tucson Repertory Orchestra, playing the Rachmaninoff Piano Concerto No. 2 and Beethoven’s Piano Concerto No. 5 “Emperor”. He has served as a rehearsal pianist/coach for many operas, including works of Mozart, Puccini, Verdi, Bizet, Mascagni, Offenbach, Sondheim, Mechem, Menotti, Argento, Britten and Bernstein. We are pleased to announce that the Opera Guild’s honoree at this year’s Quest for the Best is our board member and finance committee chair, Stokes M. Tolbert. His wit and wisdom have long graced not only OGSA functions, but those of all the cultural institutions on whose boards he has served. 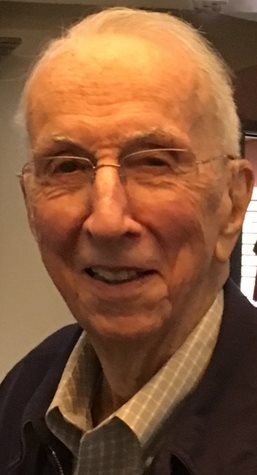 His active life at age 94 and his continuing dedication to the Tucson community are inspirational models to all. Stokes enjoyed a long career as an international development economist, including several years with the U.S. Agency for International Development and almost 30 years with the World Bank. He and his family lived for ten years in Asia—in India (where two of his children were born), Thailand and Indonesia. Upon retiring from the World Bank in 1988, Stokes followed his daughter Leslie and her husband, Paul St. John, to Tucson, where they joined the UA faculty, and where he enjoys the company of not only grandchildren but two great-grandchildren. Stokes also served in leadership roles at the Nature Conservancy of Arizona, the Tucson Committee on Foreign Relations, the United Nations Association of Southern Arizona, and the Yale Club of Southern Arizona. He somehow found time to serve on the advisory boards of the Tucson Museum of Art, the UA School of Music and the UA Press. 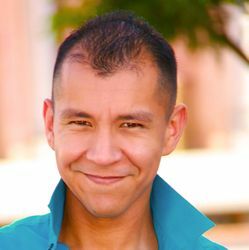 He has been a board member of the Opera Guild of Southern Arizona since 2006. Please join us on March 24 at 1:00 p.m. in Holsclaw Hall as we present the top graduate student prize in his honor.